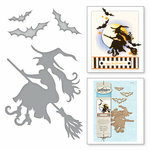 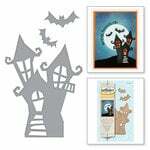 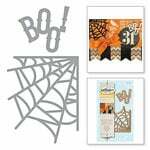 You will be thrilled to start creating Halloween projects with the Spooky Tree Shapeabilities Die Set from the Holiday Collection by Spellbinders. 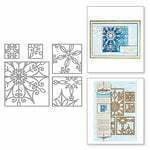 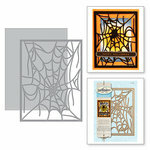 This set includes 3 thin metal dies that measure from 1.5" x .5" to 3.25" x 3.6". 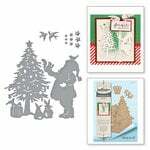 The dies will cut, deboss, emboss and stencil with a single etched die template and are compatible with most die cutting machines sold separately. 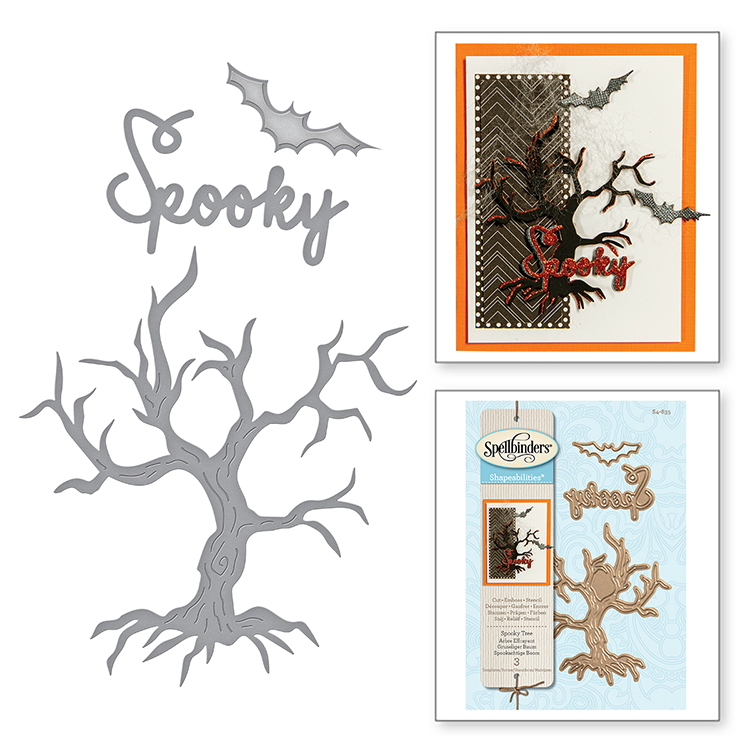 Crafting so easy it's Spooky! 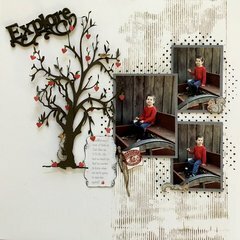 The dies cut well and are fun and so simple to use. 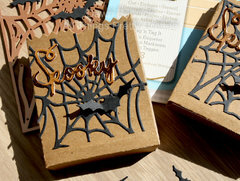 They definitely add an extra element to any project and make crafting "a snap."